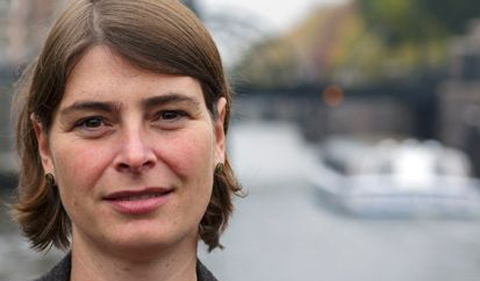 Ohio University alum Dr. Christina Morina teaches German and European history at the University of Amsterdam in the Netherlands and recently published her second book. She earned a Certificate in Contemporary History and M.A. in History from the College of Arts & Sciences at OHIO in 2002. Here’s how she describes her road from Ohio University’s Contemporary History Institute and History Department to her current position. When (and what) did you study at Ohio University? I arrived in August 2000, just weeks before the contested election of G.W. Bush – thus a memorable start – and studied German, European, and U.S. contemporary history as well as modern Russian history until 2002. What are your memories of CHI? I have fond memories of CHI – both as a place of intellectual stimulation and learning and as a place of friendship and support, not just between peers but also between students and faculty. Most striking to me was the brevity of the semesters. Coming from the 16-weeks-semester-structure of a German university, I had trouble adjusting to the fast and fully packed quarter system at OU. Yet, very soon, I realized that spending week after week reading and discussing several books with the same group of people offered me an extraordinary learning experience. No less exciting (and initially intimidating) was the interdisciplinary character of the courses taught at CHI, which turned me, for example, into a policy adviser charged with providing the president with historical memoranda on current affairs – then to me entirely new ways of thinking about the larger relevance (and responsibility) of contemporary history. Last but not least, the combination of scholarship and sociability, the many shared lunches and warm dinners following talks or special events imbued me with a sense of belonging that I have rarely encountered ever since in an academic setting. Where are you now and what have you done since graduating from Ohio? I am currently DAAD visiting assistant professor of German and European history at the University of Amsterdam. With my M.A. from Ohio University – on the reintegration of POWs returning from the Soviet Union to East Germany – in my pocket, I decided to move on to the University of Maryland. Norman Goda, adviser of my M.A. thesis at OHIO, was as right as generous to point out that I could best pursue my interests in the history of German political culture and memory by working with Jeffrey Herf, who had left Athens just a few years earlier. My dissertation on the Legacies of Stalingrad (Cambridge UP 2011) enabled me to reenter the German academic world in 2008. In Jena, affiliated with the Jena Center 20th Century History headed by Norbert Frei, I found a superb environment to develop two projects that I have finished only recently: a collaborative study on the relationship and resonances between East and West German historians during the Cold War (Das 20. 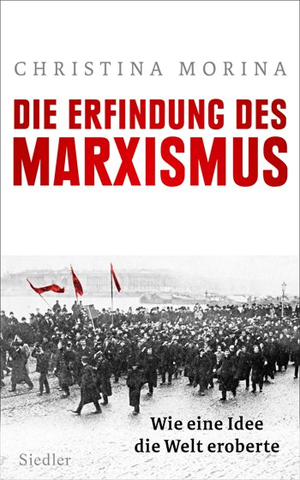 Jahrhundert erzählen, co-edited with Franka Maubach, Wallstein 2016) and my second monograph – the Habilitation – on the first generation of Marxists in Europe in the late 19th century (Die Erfindung des Marxismus, Siedler 2017). I have been teaching courses in German and European history at several universities, most recently in Amsterdam, where the combination of the traditionally liberal and (relatively) relaxed Dutch academic culture and a diverse, excellent group of students and colleagues offer critical inspiration every day. Did CHI help you think about the world differently? Did it help with your subsequent career? Sure it did, in many ways. Graduate studies at CHI (as in the United States in general) was something else than being a M.A.-student at a German university. First and foremost, I learned to study harder than I had ever done before. Moreover, my peers came from all over the world – from the U.S., Canada, Croatia or New Zealand; thus, I was confronted with a much more diverse and heterogeneous set of worldviews and experiences than I was used to. Naturally, I gained insights and developed interests that reflected the transnational and multidisciplinary outlook of the CHI program. Ever since, I have sought to learn and integrate approaches from other academic fields, most notably from political science, cultural studies and sociology, and I teach history accordingly with an eye on alternative perspectives and methods. As far as my career is concerned, I have come to believe that places such as CHI that genuinely strive to enable the pursue of genuine interests regardless of alleged job market requirements, offer the best possible environment for doing just that; the rest is a mix of opportunity, good spirits and good luck. Nowadays, next to writing books about history, I strive to contribute to the academic education of my students in a way that reflects the profound training I received at CHI. Morina can be reached at c.morina@uva.nl.